ASUS has enhanced its ROG gaming monitor line with the addition of three new models – the MG248Q, MG28UQ and MG24UQ. An interesting fact is that the MG24UQ and the MG28UQ have been on the ASUS web site for quite a while but it is now that customers will be able to buy these monitors. 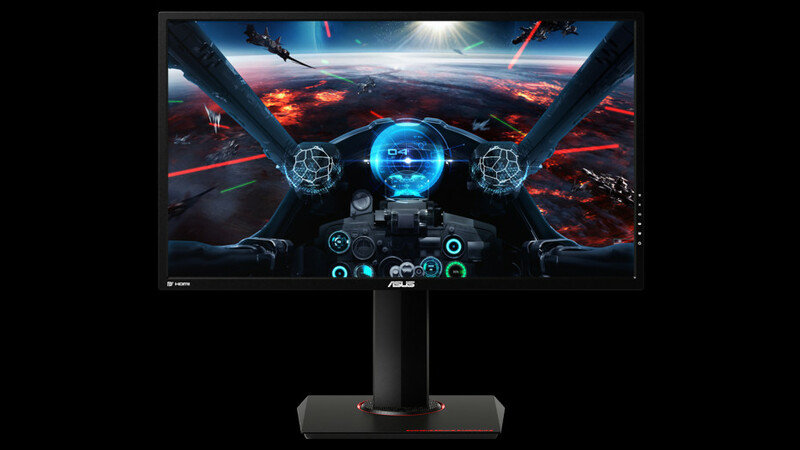 The new ASUS MG24UQ is a monitor that boasts a resolution of 3840 x 2160 pixels. The device is based on TN technology and comes with a 23.6-inch display that supports AMD’s FreeSync technology. The display offers 178-degree viewing angles, 4 ms of response time, support for 16.7 million colors, 100 per cent Adobe sRGB coverage and brightness of 300 cd/m². The MG24UQ has two HDMI 1.4 ports, one HDMI 2.0 connector and another DisplayPort 1.2 port as well as audio jacks. The stand allows the monitor to be tilted from -5° to +20° and to be used in portrait mode. The ASUS MG28UQ is a 28-inch monitor that features 4K resolution (3840 x 2160 pixels) and that uses TN technology. The device has 1 ms of response time, 330 cd/m² of brightness, static and dynamic contrast ratios of 1000:1 and 100 000 000: 1, respectively, 170°/160°-degree viewing angles (horizontal/vertical) and support for more than 1 billion colors. In the back the MG28UQ has two HDMI 1.4 ports, one HDMI 2.0 port, one DisplayPort 1.2 port, 3.5-mm audio jacks and two USB 3.0 ports, one of which can recharge various mobile devices in case of need. Finally we have the all-new MG248Q monitor – this one comes with a 24-inch TN panel that works at Full HD resolution and that supports AMD’s Adaptive-Sync technology. Thus the monitor has a 144 Hz refresh rate and 1 ms of response time, which makes it an all-around gaming monitor. The monitor has 350 cd/m² of brightness, two 2W speakers and DVI/HDMI 1.4/DisplayPort 1.2 connectors. The stand also allows users to adjust the height and the angle of the display. There’s no information on the prices of these three new ASUS ROG monitors.